Due to some rather hefty acts of nature (floods), my usual supplier of 1980s songs has been unable to send me anything this week. Michael has had his Internet access interrupted due to the aforementioned acts of nature, but I dare say Michael has been too busy fighting deluges, torrents, and general aquatic unhelpfulness to worry about things of miniscule importance like someone’s music blog. During our conversation, whilst Michael was holding back walls of water with his bare hands, he suggested I make this week’s Educating Peter a continuation of last week’s Educating Peter. So that’s what ahm a-gonna do. Last week’s instalment in this series was “I Can’t Stand To Reminisce” by Karla DeVito. Well, after that post was, er, posted, astute commenter Fitzall (Hi, OneSize!) 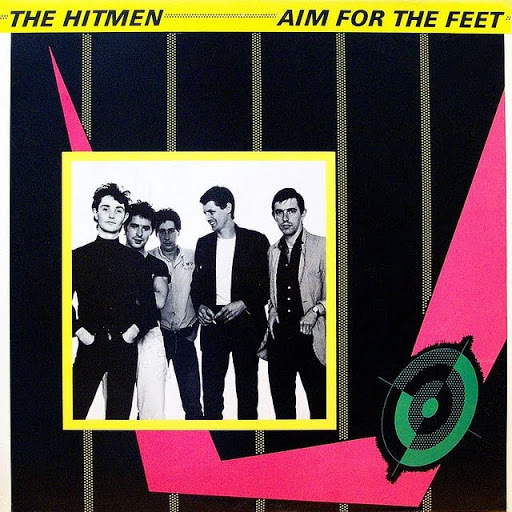 let Michael and me (and you) know that the Karla DeVito song was in fact a cover version of a song by The Hitmen, and it was originally called “I Still Remember it”. Rather than adding it to that old, old post (a week is a very long time on the Internet), and not being noticed by anyone, Michael and I agreed that we might as well post it separately. And then band kicks in with the rest of the introduction (for eight bars, all of them 4/4). I’m only mentioning this because songs like these (i.e., standard, regulation, nothing-out-of-the-ordinary power pop songs) are pretty much exclusively in 4/4, and I found it out of the ordinary. I don’t know why the piano player decided to shorten that bar before the band started playing. 1. I prefer the sound of all the instruments in this version compared to those in KDeV’s. 2. I really like the little guitar part from 0:21-0:22 in the right channel. It’s played here and there in the rest of the song, but you can hear it most clearly here. 3. I like how the verse and chorus are played as one, with the chorus sounding like it’s a natural extension of the verse. It sounds nicely organic to me, rather than listening to it and thinking “Oh, someone wrote a verse, then wrote a chorus, and then just put the two together”. 4. I like the tubular bell at 0:42 to let you know the chorus has finished. 0:47-1:15 – Compared to last week’s ordeal, I’m not minding this version at all. I didn’t even mind the cute little ascending synthesizer note (1:06-1:09). 1:15-1:34 – A nice middle eight to prevent potential monotony, and it segues well into the chorus (from 1:27). And there’s that cute ascending synthesizer again, from 1:29-1:31. Incidentally, at 1:31 there’s a quick handclap. I thought it was an odd place to put it in the song, but maybe it was there to stop the synthesizer. 1:35-1:46 – The guitar solo. It’s well-thought-out. I like it. 1:46-2:04 – A variation on the chorus, featuring the line “Can you wait for me like she do?”, which is much preferable to Karla DeVito’s “Do you ape for me like he do?”. 2:04-2:23 – The tubular bell goes “ding!” at 2:04, and the band plays the “I still remember it” part of the chorus until it’s time to end the song. 2:28-2:30 – The entire band going “bang!”. By the way, that last “bang!” by the band reminded me of a “bang” that starts another song. You are currently browsing the archives for the Hitmen category.